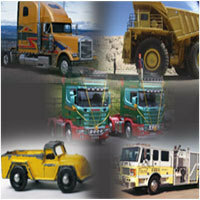 Road Transport services in Canada with a high-value, high-quality truckload service. Our modern fleet includes a variety of Vans � 48' and 53' Air Ride and flatbed Specialized Equipment geared to suit the diverse needs of our Customers. Matrix Road Transport Canada�s leading truckload carriers assuring consistent and cost effective service. MTX provide full truckload (TL) and Less Than Truckloads (LTL) services throughout Canada and the U.S.A. Our Intermodal (Rail), Highway Refrigerated, and Flatbed fleet while offering tailor made LTL and TL transportation solutions to our customers both in Canada and the USA. MTX Road Transportation continues to build up new markets and opportunities for their customers. Their management, employees and owner operators work as a teams and expedited loads to deliver quality truckload transportation that connects Canadian business with Ontario, Quebec, and the U.S.A. Copyright Matrix Transportation Solutions - 2016. All RIGHTS RESERVED. DESIGNED AND DEVELOPED BY MATRIX SOLUTION. .